A former Orange County attorney will have to pay restitution to former clients after pleading guilty to felony grand theft. 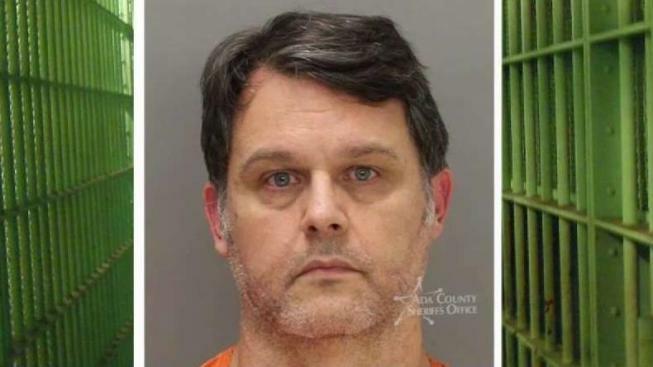 Disbarred attorney David Allen Hiersekorn was arrested March 15 in Idaho and extradited to Orange County on charges of grand theft of over $210,000 from the trust of a former client and the unlicensed practice of law resulting in the loss of $2,950 from a second former client. Hiersekorn pleaded guilty to the grand theft charge. The second charge was dismissed as part of his plea agreement. The agreement means he is choosing not to risk a potential conviction at trail and dramatically reduces the amount of time he'll spend behind bars. However, Hiersekorn has nonetheless been ordered to pay restitution on both counts. "The offer was made for early responsibility and early acceptance," said lead prosecutor Michelle Lipton. "He was just arrested March 15th, so to have plea deal a month later shows that the defendant is accepting at least responsibility for his actions." It was a complaint from Shayne Rucknagel, the second former client, and subsequent reports by NBC4 that led to a referral for charges against Hiersekorn from the California State Bar to the Orange County District Attorney's Office. Hiersekorn has been ordered to serve 120 days in jail and will get credit for time served since his arrest last month. He will be on supervised probation for five years and must pay more than $213,000 in restitution. In addition, the court granted Hiersekorn's victims protective orders against him contacting them in any way. Hiersekorn did not speak in court, though he has denied stealing any money from clients in past statements to the NBC4 I-Team. Hiersekorn's in-laws presented a cashier's check for $50,000 at Monday's hearing, to be paid directly toward the victims' restitution. Those in-laws also declined to comment. Both Rucknagel and Lipton say the plea agreement expedites justice in a case that could have dragged into 2019. "He thought he was going to get away with what he did to me, and I was no longer going to be a victim anymore and I was going to fight this for my kids," Rucknagel said.